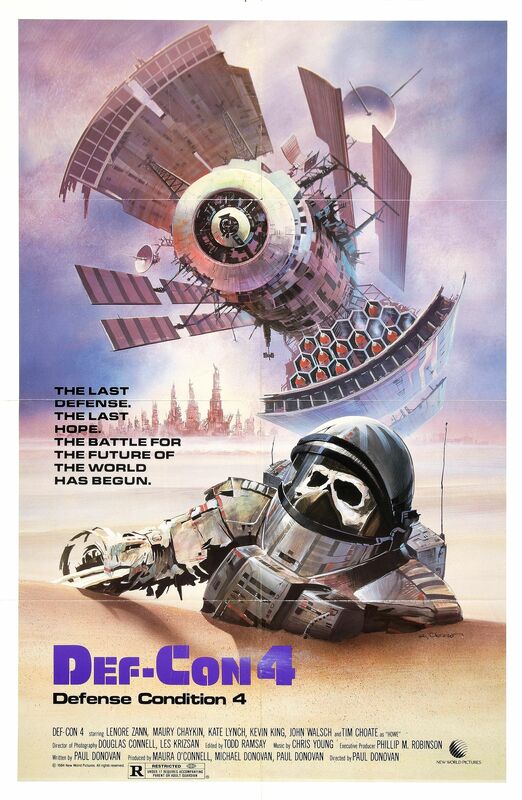 The Def-Con 4 poster is not as original as I thought, however. 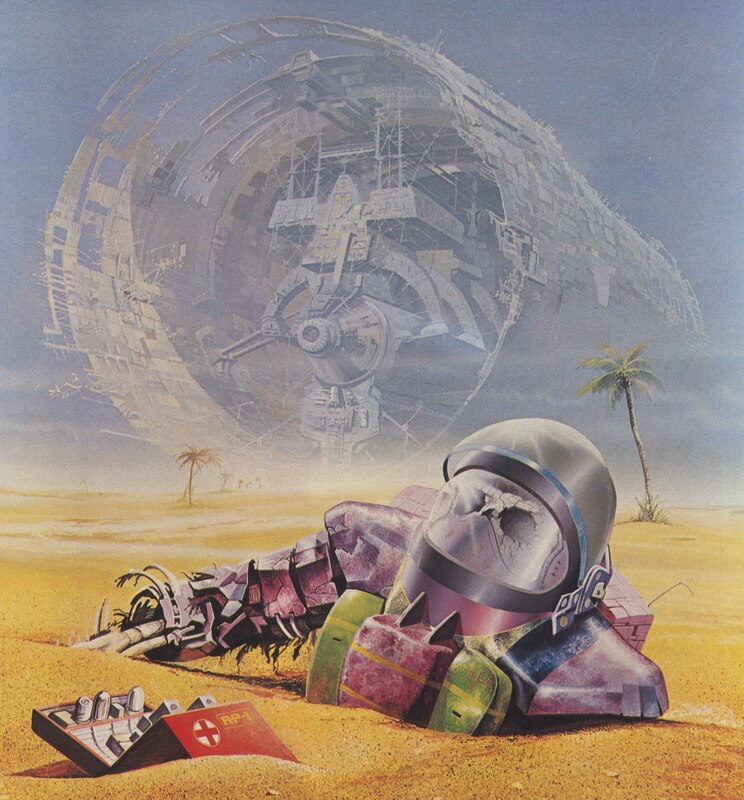 The painting below is by Angus McKie and comes from the cover of The Year’s Best Science Fiction #8 (Sphere, 1976), as well as a British sci-fi/fantasy art tome called The Flights of Icarus (Paper Tiger, 1977). While Obrero’s changes to the original are pretty ingenious—the movie is about astronauts who return to a mutant-infested Earth after watching World War III unfold from space—there’s no doubt that the enduring motif is McKie’s.